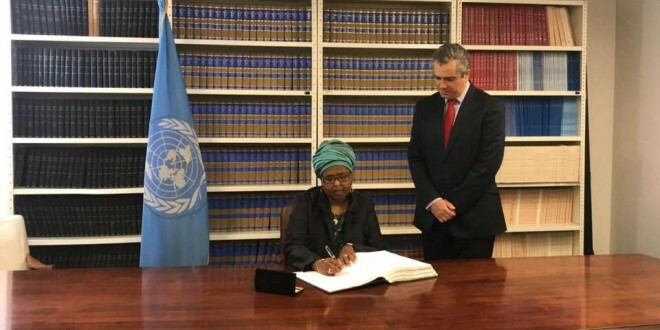 The Convention on the Rights of Persons with Disabilities and its Optional Protocol (A/RES/61/106) was adopted on 13 December 2006 at the United Nations Headquarters in New York, and was opened for signature on 30 March 2007. 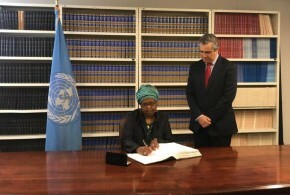 On Tuesday 2nd October 2018 Somalia Federal Government have become the 178th State to have signed the United Nations Convention on the Rights of Persons with Disabilities (UNCRPD) represented by Her Excellency Minister Deka Yassin, after long time of advocacy and campaigns which was raising many people with or without disability activists including myself. Its great achievements to have witnessed such this phenomenal. 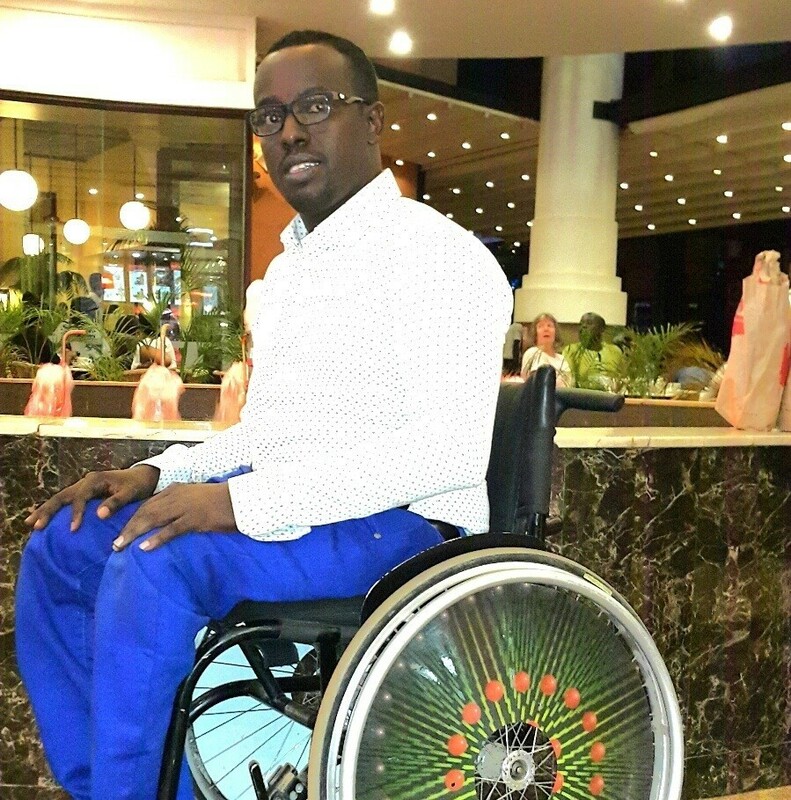 People with disabilities in Somalia are often denied chances to work, go to school and participate fully in a society which creates barriers for their prosperity and wellbeing. The Convention on the Rights of Persons with Disabilities is important because it is a tool for ensuring that people with disabilities have access to the same rights and opportunities as everybody else. 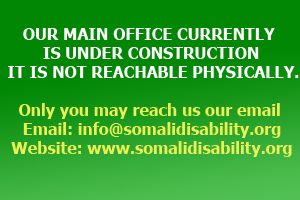 Approximately there are around 1.5 million people with disabilities in Somalia. They are often the poorest of the poor. The stigma and discrimination they suffer are common in all societies. The Convention is a human rights treaty designed by representatives of the international community including people with disabilities, government officials, representatives of nongovernmental organizations and others to change the way people with disabilities are viewed and treated in a society. 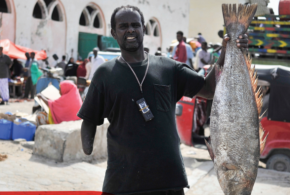 Rather than considering disability as an issue of medicine, charity or dependency, the Convention challenges people of Somalia to understand disability as a human rights issue. The Convention covers many areas where obstacles can arise, such as physical access to buildings, roads and transportation, fighting discrimination and access to information through written and electronic communications. The Convention also aims to reduce stigma and discrimination, which are often reasons why people with disabilities are excluded from education, employment and health and other services. 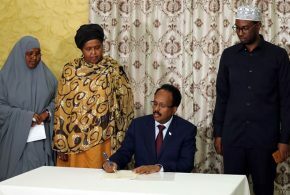 For the first time, Somali government signed the United Nation convention on rights of persons with disabilities, the treaty will promote and protect the rights of people with disabilities. The government will next work on passing their own national civil rights legislation to improve the lives of people with disabilities. States Parties, in accordance with their system of organization, shall designate one or more focal points within government for matters relating to the implementation of the present Convention, and shall give due consideration to the establishment or designation of a coordination mechanism within government to facilitate related action in different sectors and at different levels. States Parties shall, in accordance with their legal and administrative systems, maintain, strengthen, designate or establish within the State Party, a framework, including one or more independent mechanisms, as appropriate, to promote, protect and monitor implementation of the present Convention. When designating or establishing such a mechanism, States Parties shall take into account the principles relating to the status and functioning of national institutions for protection and promotion of human rights. Civil society, in particular persons with disabilities and their representative organizations, shall be involved and participate fully in the monitoring process. 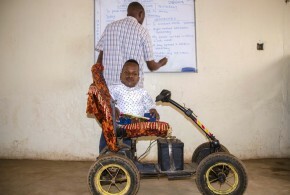 The UN Convention on the Rights of Persons with Disabilities reaffirms disabled people’s human rights. It recognizes that equality and human rights are for everyone and sets out how governments should ensure those rights are protected.